The former prime minister was taking a vacation with friends and his wife, Celie, in the south of France, where he suffered from a fall which led to his death, the family confirmed to Belgian media. Dehaene was 73 years old. The Belgian politician held a mandate as MEP for the Flemish Christian-democrats (CD&V) in the outgoing European Parliament. Last March, he was hospitalised and treated for cancer. After a period of revalidation, he returned to the public stage in April, conducting several interviews in national press and on television. “I suspect some journalists had already prepared my obituary,” he then said in an interview with the daily paper De Standaard. In 1992, Jean-Luc Dehaene took over the lead of the country from his party member and Belgian statesman, Wilfried Martens, who himself died only last October. “In the span of only half a year, the family of the EPP lost two great statesmen,” the EPP president Joseph Daul said today. Dehaene led two successive governments in the 1990s, during which he manoeuvred the country through a number of institutional changes. He is also credited with the recovery of the Belgian economy, which suffered from a high level of public debt in the 1990s. He also guided Belgium towards the adoption of the euro as a currency. In 2001 he was granted the position of vice-chairman of the European Convention on the Future of Europe, which led to the final draft for the European Convention, tabled in 2004. Political colleagues and media gave him the nicknameof the ‘plumber’ as a consequence of his pragmatic style and his ability to force parties to compromise. As a folksy prime minister, he also refused to answer hypothetical questions and argued “you should only solve problems when they arise” – one of his most famous quotes. The last five years, he continued his political work in the European Parliament, where he was responsible for a number of budgetary and economic dossiers as MEP for the European People’s Party (EPP). Just recently, he took on a leading role in the Parliament’s negotiations on the multifinancial framework of the EU. 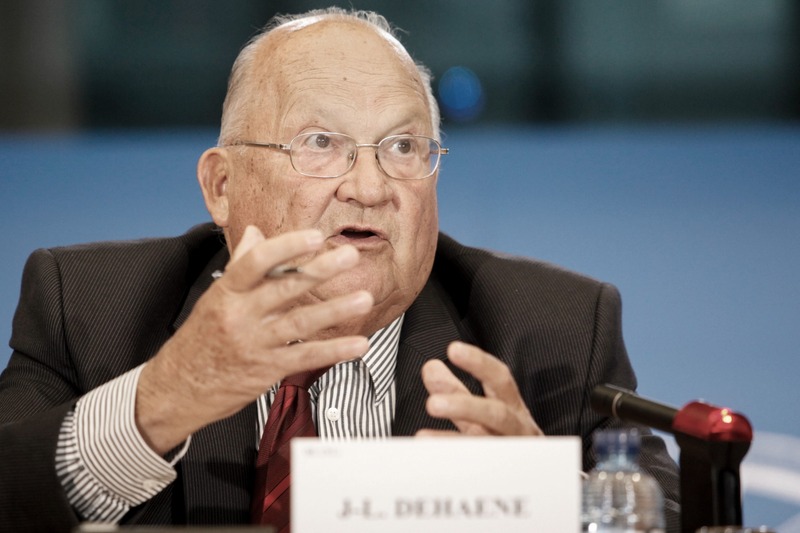 EURACTIV will report on reactions on Dehaene’s death as they come in. “I pay tribute to his work and commitment to Belgium and the European Union. He will be sorely missed here in the European Parliament and our thoughts are with his family and friends," Schulz added. Joseph Daul, the president of the European People’s Party (EPP), said: "He was a strong promoter of European integration who in his in very own style helped build the European Union. He will be much missed by everyone who worked with him. This is a day of great sadness for Belgium and for Europe." Referring to the death of former Belgian PM and co-founder of the EPP, Wilfried Martens, late last year, Daul added: "In the span of only half a year, the family of the EPP lost two great statesmen." Jean-Luc Dehaene was Belgian prime minister from 1992 to 1999. He held two MEP mandates since 2004. He died on 15 May 2014.